It documents the personal journeys of each member of the team, including captain Rohit Sharma, owners Nita and Akash Ambani as well coach Mahela Jayawardene. The most popular online streaming website Netflix has announced its first Indian sports documentary titled “Cricket Fever: Mumbai Indians”, which is all set for a premiere on March 1. 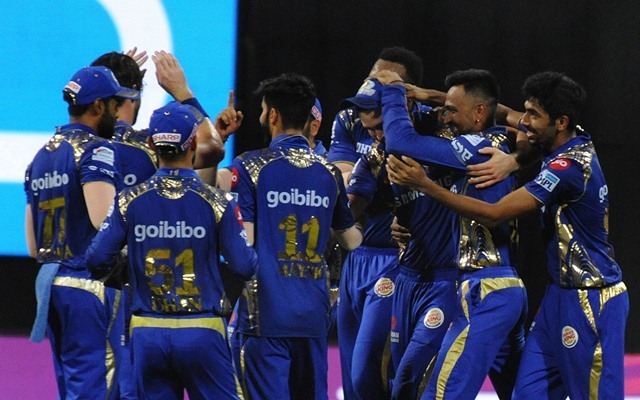 As per an official statement, the docu-series, which is produced by Conde Nast Entertainment, will show a recap of Mumbai Indians’ journey in IPL 2018. It documents the unseen action, both on and off the field, starting with the auctions, when the entire team was changed, to the end of their IPL campaign. It also talks about the pressure on the premium franchise to deliver the results in every game. It documents the personal journeys of each member of the team, including captain Rohit Sharma, owners Nita and Akash Ambani as well coach Mahela Jayawardene. The eight-part series has Al Edgington, Joe LaBracio, Dawn Ostroff, Jeremy Finn, Jamie Stewart and James Maby as its executive producers and will be available to over 117 million members in 190 countries around the world. “The show will bring viewers a never-before-seen look at the richest tournament in cricket by covering unseen aspects of the team, the compelling stories and characters that bind them with the vibrant city they call home,” the Hollywood Reporter reported. The Mumbai Indians have been one of the most successful sides in the cash-rich tournament. With Rohit Sharma at the helm, they have won three IPL titles (2013, 2015, and 2017) as well as two Champions League trophies (2011, 2014). This season, they will aim to go past Chennai Super Kings’ tally of three trophies, by winning their fought one.